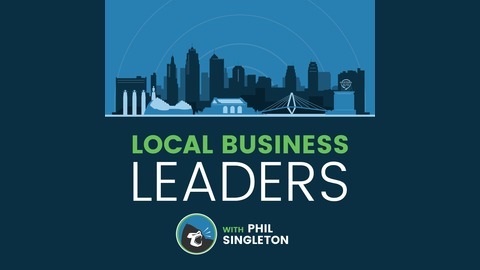 Award-winning web designer, SEO expert and best-selling author of SEO for Growth Phil Singleton of KCWebDesigner.com interviews successful entrepreneurs, small business owners and niche marketing experts on their stories, struggles, and what is helping their businesses grow today. Phil Singleton is the Founder and CEO of Kansas City SEO®, an Internet marketing agency that provides organic search engine optimization and online marketing services, Kansas City Web Design®, a web development firm specializing in custom SEO-friendly WordPress websites. KC Web Design is ranked #1 among the 10 best website designers in Kansas City. Phil is a Duct Tape Marketing™ Certified Consultant and provides small business marketing consulting at the Kansas City Marketing Agency. Phil has a B.S. In Finance from Fairfield University and an MBA from Thunderbird, AGSIM. Phil is an active blogger and his content has been featured on Duct Tape Marketing, Freshbooks.com, Regus.com, SEMRush.com, Ahrehs.com, AdvancedWebRanking.com, Business2Community.com. Phil’s latest startup venture, Podcast Bookers, is a podcast interview marketing service that helps marketers and executives get booked on established podcasts as way to develop authority, personal branding, improve Google search engine optimization, and most importantly, generate new leads and sales. Joel Goldberg has one of the most recognizable faces and voices in Kansas City. While Joel has had a first-row seat to one of the most inspirational stories in recent sports history, Phil Singleton found his personal story to be fascinating. Joel shares an amazing story of how he started out in his early 20’s, fresh out of college, and created an opportunity by cold-calling scores of TV stations around the country and fought his way into the business with sheer grit and determination. 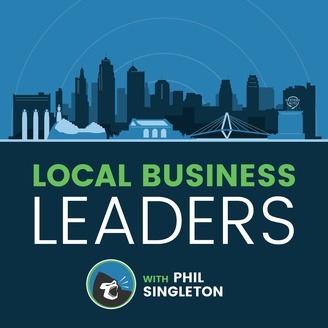 You will love this episode on Kansas City's top local business podcast! Click to learn more about Joel, his broadcast career, and all the cool new things he is doing in Kansas City at Joel Goldberg Media!